Most excellent blog, Mr. biblioklept. PS I cannot get the Like button to work. I tried it with Flaubert and the bear ikon would appear in a different place each time. ;). Our satellite ips must be under water again. Never mind. The flood waters have receded. A very, very fine article. 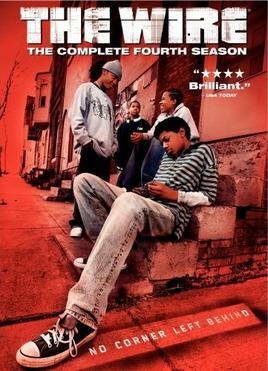 The Wire made me feel like I understood the world. Will there, perhaps, be a review of Breaking Bad in the future? Thank you. Your synopsis brought back the feeling of despair of the final montage of the series’ last episode. The image of what becomes of Dukie, the kid a teacher naively hoped to ‘save,’ still chokes me up just thinking about it. What a great show.